Canon Styling Chair has a timeless design that will be great for various types of salon settings. Customers will feel comfortable with the thick cushioning and smooth upholstery. It has a heavy duty hydraulic pump. The width between the arm rest is 20.6''. The hydraulic pump has a 7.8'' travel. Each chair is covered by a 1 year Limited Mfg warranty & 2 years in total warranty on the hydraulic pump. 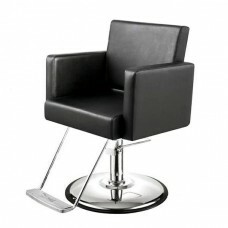 Additional shipping charges will apply for chairs & furniture. Call Mike on 1(800)542-0111 for discounted prices on quantity & freight.